Without light no life is possible. We all know the positive effect of sunlight on our well being. Modern bio-physics has proven that every cell in our body contains light. If cells are injured or in any way defective the intensity of the stored light begins to fade. Providing these cells light in the form of photons, the smallest particles of light, helps them to regenerate and restore health. 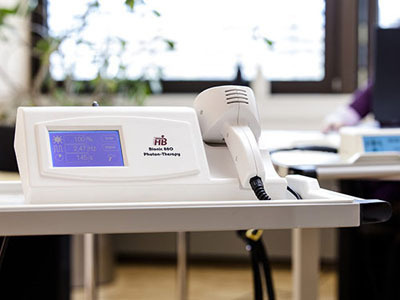 Want to know more about how Photon Therapy works? The photons/small light particles produced by human cells transport information from cell to cell in the form of light beams (bio photons) which controls the thousands of biochemical reactions taking place within each cell every second of our lives. They are the software that run all body functions. Illness and toxins reduce the intensity of biophoton emissions and disrupts this exchange of information, causing imbalance in our biological system and weakening of our immune defenses. The use of pulsed infra red light at the wavelength, 880Nm and at a specific chosen pulse frequency increases the detoxification of all toxic matter including bacteria, viruses and pesticides. It has been proven to be highly effective, especially when combined with homeopathic nosodes, at transporting bacteria and other pathogens out of cells where they can be more easily defeated and eliminated. These photons also increase the production of leukocytes and macrophages, CD-57 cells and lymphocytes as well as other immune cells and normalize pathologic metabolism. Photon Therapy facilitates immunomodulation; it can increase NK cell counts but also decrease immune cell counts in those with autoimmune conditions. 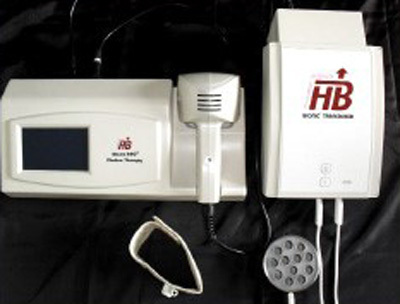 Photons radiated by the Bionic 880 device are absorbed by the skin, then multiply in the body and spread through the meridian system. They reach all organs and pass through all branches of the central nervous system; the brain and spinal cord where they regulate production of hormones and neurotransmitters such as endorphins and serotonin. It is provided by placing the hand held part of the device to specific points on the body while the client is seated and fully clothed. Usually the recipient does not feel anything, sometimes a mild tingling at the location or other parts of the body may be experienced. Organs and regions in the body interior are reached through meridian lines of acupuncture points discovered in ancient China. Modern medicine has acknowledged the existence and function of such meridians as a distribution system for the energy flow throughout the body. This energy system conducts light. Who can benefit from Photon Therapy? Almost everybody, including those receiving conventional cancer treatments. It is NOT recommended however with epilepsy, pacemaker or during pregnancy. Do you have to be sick to benefit from Photon Therapy? No. Because health problems or disturbances first manifest at the energetic level before they appear in the form of physical symptoms Photon Therapy can help maintain the finely tuned energy system to prevent illness developing. Click below to hear about Photon Therapy from the German Manufacturer of the devices? Can Photon Therapy devices be acquired for use at home or by other therapists or doctors? Yes. 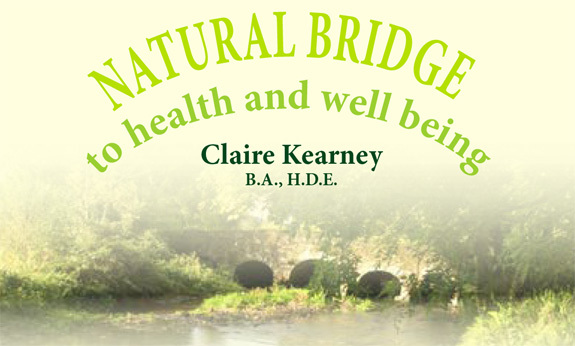 Claire is the Authorised Distributor of HB Photon Therapy products in Ireland and provides training in their use.